Located thirty miles off the northern coast of Honduras and nestled within a chain of islands called the Bay Islands, travelers will find Roatan and Utila. Some call these tropical landmasses the last Caribbean frontier. Others refer to this area as a hidden paradise. Years ago, pirates including Henry Morgan called Roatan home. Today, a wide range of things to do make Roatan a unique destination for both adventure seekers and beach dwellers. If fishing interests you and you dream of landing the 700+ lb. Marlin, yes it has and could again happen. Deep sea fishing, bill fishing, annual International Tremens. Check, check, check. Is flats fishing your thing? No problem. Bonefish, Tarpon, Permit, Barracuda. For those who are seeking your adventure under the water, look no further. Roatan & Utila are located right on the second largest coral barrier reef in the world! Diving and snorkeling is second to none and offers hundreds of dive sites on the complex reef systems that are filled with the abundance of sea life. Is golf your game? There are only three “Golf Hall of Fame’ designers of courses. The course here, “Black Pearl” was designed by one of them, Pete Dye. with spectacular azure and deep blue views of the Caribbean from 12 of 18 holes the course is not only challenging but an “eye candy” experience that you will remember for years. Have you ever seen the famous “island hole” at the TCP on the Pro Tour? Yes, this course is the same designer and yes, there is an island hole to challenge your skills. Rest on white sandy beaches while dipping your toes in crystal clear, ocean water. Relax, listen to waves, splash around in the water. Get lost in ancient ruins. Peek into the past while exploring Mayan ruins with a day trip to Copan. Cobblestone streets lined with concrete stucco buildings, tile roofs, and some of the best high grown, organic coffee, help make the city of Copan unique. Stand face-to-face with exotic creatures. Discover sea turtles, lizards, iguanas, and manatees, all in their natural island habitats. Who knows, you may even spot a whale shark, the gentle mannered mammal is about the size of a school bus! Participate in an authentic cultural event. Depending on the time of year, visitors can experience island events such as the Garifuna Settlement Day Celebration. Embrace ecotourism. National parks, cloud forests, and botanical gardens can all be reached easily. Visit the local Arboretum & Hydroponic farm! Attend a Discovery and Investment Tour. 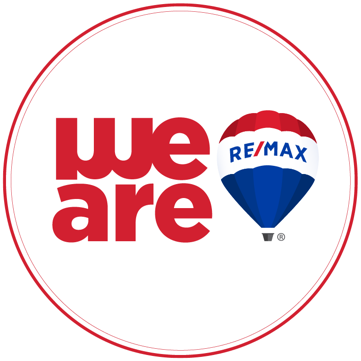 If you want real answers to difficult questions about retiring or relocating to the Bay Islands, consider attending a Discovery and Investment Tour through RE/MAX Bay Islands. Enjoy excellent dining options. Take your taste buds on an adventure and try authentic Caribbean cuisine. Bird watch. Central America, which includes the Bay Islands, is a thoroughfare for migrating birds. Many unique birds can be found on the Bay Islands and parts of the mainland even boast over 350 different species of birds. Visit one of the largest stands of protected black mangroves. Black mangroves provide a home for fish, wildlife, and birds. In addition, they protect the coast. View the island from the air. Parasail or paraglide over the ocean and experience an entirely different view of the island. Take a day trip to La Ceiba. Fill your day with white water rafting on the Canjegal River. Depending on the time of year, rapids can reach Class V status. Observe the spiny backed iguana. The Bay Islands are the only place in the world you can see this little guy. Study butterflies. The island has one of the largest quantities of species of butterflies north of the Amazon River in South America.